Save tons of money by grabbing and (sometimes) preparing these lower-cost meal options this semester. Fall is upon us, which means that it's back to school for millions of college students across the country. With many working part-time, even full-time jobs, the quality of food present in diets can take a hit. It's not that hard trying to cram a quality meal into your busy schedule. In fact, you might just have the ingredients on-hand to put together a few of these simple, low-budget concoctions. If you're, or know someone who's, strapped for cash, take a look at this college student meal plan. We enlisted the help of Molly Kimball, sports dietician with Ochsner's Elmwood Fitness Center in New Orleans. There may be no finer breakfast meal than eggs. Eggs are loaded with protein (6 grams per egg) and contain an abundance of vitamins. Kimball says: "Just spray the inside of a microwave-safe coffee mug with nonstick cooking spray, then add the egg substitute and an add-in such as sliced turkey, cheese, or a chopped-up veggie sausage patty. Microwave for about a minute, stir, then microwave another 30-45 seconds, and you've got hot (and portable) scrambled eggs." We get it; you need your coffee. Studies have shown that it's both good and bad for you. What if we told you that you can have your coffee and make it even healthier? Kimball has the scoop. "Protein drinks can stand in as a quick breakfast or snack on the run, or add a coffee concentrate for a DIY protein-rich iced coffee," says Kimball. 1. Mix the oats with the almond milk and warm in the pot on low to medium heat. 2. Stir frequently, and feel free to add extra liquid, until the oats look ready to eat. 3. 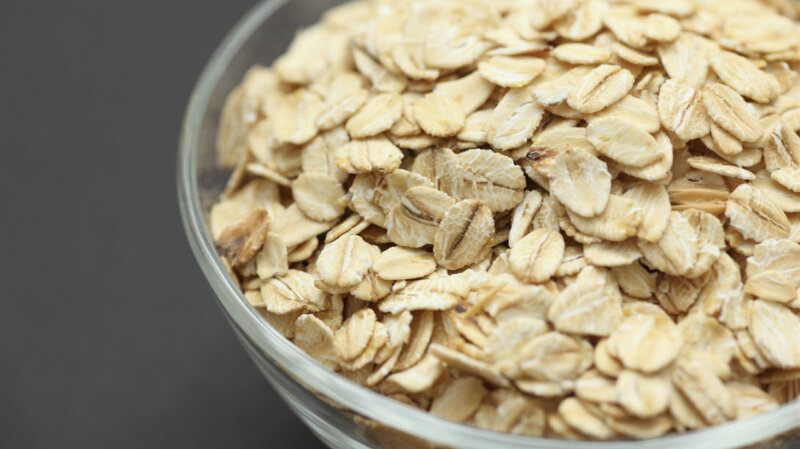 Add any sweeteners and/or flavors you want to your oats, once they’re fully cooked. 4. Since these oats are for the next day, get out a Mason jar (or Tupperware, if you’re really classy like me) and store them in the fridge over night to eat cold in the morning. Kimball suggests: "My recommendation for overnight oats is to start with a base of oats and Greek yogurt so that you're guaranteed to always have a fiber- and protein-rich breakfast. Mix things up with flavors like peanut butter, or almond butter, and just a bit of jelly."